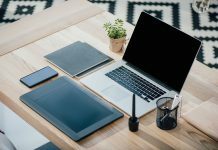 Over the past few years, tablets have gained in terms of popularity as people become more mobile and require on-the-go access to tools to help increase their productivity. There’s been a shift away from traditional desktops and tablets, and in fact, mobile browsing has surpassed desktop usage for the first time ever. Even employers are joining the trend and have started to provide employees with tablets to help make their jobs easier and more accessible from anywhere in the world. Schools provide students with tablets to create an immersive classroom experience, and businesses use tablets in their retail space as part of their customer relationship management system. 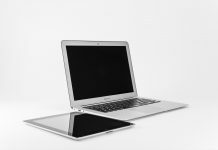 Tablets are easy to use and often provide the same power as a desktop, making traditional computers even more obsolete. 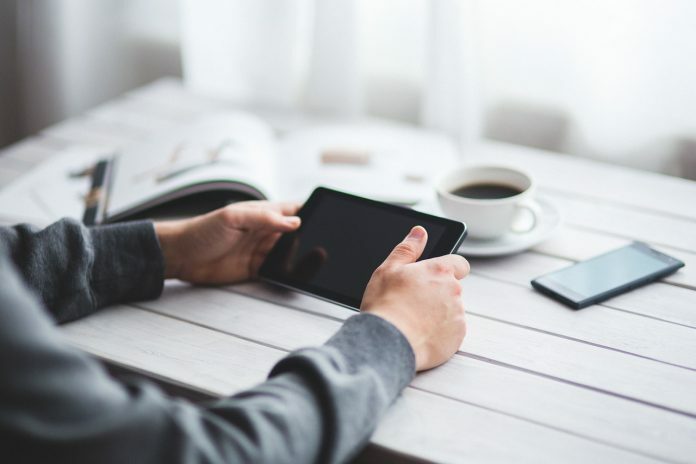 As people use tablets more in everyday life, there has become a need to adapt certain aspects of these devices to make for a more user-friendly experience. Some people who use their tablets heavily as part of their job may need a larger screen, more RAM, and an adaptive interface that allows them to customize their experience. More casual users, however, are finding that they don’t need such a large powerhouse for simple tasks such as browsing, shopping, playing games, and reading. Because of this, the 8-inch tablet has gained in popularity, which has increased the demand for companies to add smaller options to their tablet lineup. These smaller tablets are quickly becoming the perfect choice for consumers who want added portability to bring their tablet with them on the go while also enjoying a powerful user experience. If you’re considering purchasing a smaller tablet, here are five of the best 8-inch models available on the market today. Each product was thoroughly researched and reviewed before compiling an unbiased listing of the best 8-inch tablets for 2018. The ASUS ZenPad S8 is a great little tablet if you’re looking for an ergonomic and out-of-the-box design that isn’t like your typical table. Instead of the typical rectangular shape, the ZenPad is boxier and sports an IPS display with 2048x1536 full HD resolution and ASUS’s own True2Life display technology, allowing for an immersive video-viewing experience from all angles. You’ll also find it’s made with durability in mind thanks to its Corning Gorilla Glass 3, which provides ultimate protection for all of life’s bumps and bruises. The true gem of this tablet is that the ZenPad is also powered by 4GB of RAM and 64GB of storage, allowing you to multitask between apps without feeling bogged down or any lag. It’s also backed by a 2.3GHz Intel Atom Z3580 Super Quad-Core processor, which packs a performance punch in a little tablet. If you find you need more than 64GB of storage for your tasks, the ZenPad allows you to expand the storage up to 128GB with a microSD card and even offers another 100GB of cloud storage, giving you plenty of space for your photos, videos, and apps. However, if you’re a heavy photographer, you shouldn’t expect this device to deliver the same quality of photos that most smartphones do these days. At only 8-megapixels for the rear-facing camera and 5-megapixels for the front-facing camera, it doesn’t impress in photo quality. The ASUS ZenPad S8 is a mighty tablet in a compact shell, weighing in at only 0.6 lbs, which allows for maximum portability. If you’re a heavy photographer, you shouldn’t expect this device to deliver the same quality of photos that most smartphones do these days. At only 8-megapixels for the rear-facing camera and 5-megapixels for the front-facing camera, it doesn’t impress in photo quality. The average battery life for the ZenPad hovers around eight hours, depending on usage type, allowing you to use this for an entire workday without having to stop to for a charge. The price for an ASUS ZenPad S8 starts at $180 for a basic model. The cost can fluctuate up to $300 if you want your tablet to have more bells and whistles. This ASUS tablets come standard with a 12-month limited warranty. Where can I buy it? You can purchase your ASUS ZenPad S8 directly through ASUS or at most major big box store retailers. 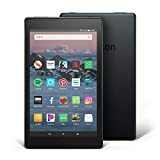 Amazon’s proprietary Fire tablet has gained in popularity over the years thanks to its reliable performance and a long-lasting battery. If you’re a bookworm, one of the biggest perks of the Fire HD 8 is that it comes with free ebooks and other Amazon exclusives, which makes the tablet pay for itself if you’re a heavy reader. Being that it’s an Amazon product, it integrates easily with their apps to provide you with a user-friendly experience. The Fire HD 8 comes with an 8-inch widescreen featuring an IPS LCD display with 1280x800 pixels, giving you a crisp, vivid picture quality for viewing videos and playing games. Inside the Fire HD 8, you’ll find a 1.3GHz Quad-core professor powers this small tablet along with 1.5GB of RAM. If you plan to use this tablet on a daily basis, you’ll be forced to expand the memory with a microSD card. At 1.5GB of RAM, however, you may not get a seamless browsing experience. While this would be a great starter tablet for a child, people who expect high-quality performance may find themselves disappointed with the Fire HD 8. Like the ZenPad, the Fire HD 8 comes with built-in storage that allows you to expand for more memory with a microSD card. If you like personalizing your tablets to match your personality, you’ll be pleased to learn that the Fire HD 8 series comes in a variety of colors. The Amazon Fire HD 8 weighs in at only 13 oz. The tablet comes with a 2MP rear camera and VGA front camera for you to snap photos. The battery life is one of the standouts of this tablet and comes in at 12 hours of continuous usage without interruption, so you can enjoy browsing, reading, and watching videos all day. The cost for an Amazon Fire HD 8 ranges from $99 for a 16GB model to $150 for a 32GB model. Since it’s an Amazon product, the best place to purchase the tablet is directly through Amazon. They may even offer occasional deals that would provide additional savings. The Lenovo Tab 4 is the Lenovo’s newest tablet lineup and features a vivid 8-inch display that supports an HD IPS display with 1280x800 resolution, so you can enjoy viewing videos without sacrificing quality. Thanks to Dolby Atmos speaker technology and the built-in front-facing speakers, you’ll have a surround sound experience when watching your favorite action movies and television shows. The Lenovo Tab 4 is built to be durable, so you can take it with you on the go without worrying about carrying it around. Inside the Lenovo Tab 4, you’ll find it’s powered by a 1.4 GHz Qualcomm Snapdragon 425 Quad-Core Chipset, 2GB of RAM, and Android 7.1 Nougat, which gives you a smooth performance when switching between apps. If you need an integrative word processor for your job or school, you’ll be able to use Microsoft Office, which comes installed on the device right out of the box. The tablet also comes standard with 16GB of storage and the option to expand up to 256GB, so you can store all your favorite photos, documents, and videos right on your device. The Lenovo Tab 4 weighs 1.11lb. The Lenovo Tab 4 also comes with a 5-megapixel rear camera and 2-megapixel front camera so you can take photos wherever you take your device. Boasting a 12-hour battery life, the Lenovo Tab 4 allows you to use your device all day on the job or in the classroom without pausing to recharge. All Lenovo products come with a base warranty and the option to add additional protection. You can purchase directly through Lenovo or, if you’d rather play with the tablet in person before you purchase, you can find the Lenovo Tab 4 at stores like Best Buy. Samsung has made a name for itself in recent years thanks to their investment in mobile devices. They’re one of the top brands for smartphones and tablets, which means they’re continually investing time and money into developing their devices to be the best, and their Samsung Galaxy Tab S2 is no exception. The S2 comes with a metal body construction, which is a major improvement over its prior models. 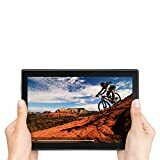 If you use your tablet to watch videos or play games, the 8-inch super AMOLED display with 2048x1536 resolution combined with integrated speakers is sure to impress. Its built-in micro USB port also makes transferring data to and from the device easy and seamless. The Galaxy Tab S2 is powered by Exynos 5433 Octa-Core Chipset with 3GB of RAM and 32GB of storage, which makes this tablet a powerhouse in the performance department. It’s also backed by Android 7.0 Nougat operating system, which allows you to multitask with ease. If you’re concerned about security, you’ll enjoy the integrated sensor, which allows you to unlock your tablet with the touch of a finger. The Samsung Galaxy Tab S2 falls flat in the battery life department, coming in at a disappointing five hours of continuous use, meaning you shouldn’t expect it to last through a road trip or typical workday. Despite its sturdy construction, the Galaxy Tab S2 weighs in at only 0.6 lbs, making it thin and portable for on-the-go usage. The Galaxy Tab S2 comes with a front- and rear-facing camera at 2.1-megapixels and 8-megapixels respectively. The Samsung Galaxy Tab S2 leaves a bit to be desired in battery life, coming in at a disappointing five hours of continuous use. The Samsung Galaxy Tab S2 starts out at $299. The S2 comes with a standard 12-month parts and labor warranty. The Samsung Galaxy Tab S2 is available directly through Samsung, or you can also find it through other major online and in-person retailers such as Amazon, Best Buy, and Walmart. When people think of tablets, it’s hard not to think of Apple first. As the first popular tablet, Apple’s iPad leads the way in mobile devices, outselling most competitors simply because of its name. Since their first tablet launched in 2010, they’ve expanded their line to include smaller versions, such as the iPad Mini 4, which sports a 7.9-inch retina display with 2048x1536 resolution. It’s powered by a 1.5 GHz Dual-Core A8 Chip, Quad-Core Graphics, and 2GB of RAM to give you a smooth operating experience. Its built-in fingerprint scanner also adds extra security when unlocking your device. The iPad Mini 4 comes in at just 6.1mm thick and 0.65 pounds. The IPad Mini 4 also comes with an 8-megapixel iSight camera so you can record full HD videos and has a 1.2-megapixel front-facing camera for snapping selfies. The IPad Mini 4 is backed by a Li-Polymer battery to give you up to 10 hours of continuous usage depending on your usage type. You can expect to pay $399 for their 128GB WiFi-only model. If you need your iPad to have cellular connectivity, you’ll be looking at $529. You can purchase their AppleCare warranty or $69. The best place to purchase any Apple product is directly through the store or on their website. However, other retailers such as Walmart and Amazon sell iPads as well. Succeeding in buying a tablet that you’ll love really depends on your personal preferences. While some people may enjoy the compact lightweight design and portability of some of these tablets, others may want more from their device in terms of performance and need something that packs a heartier punch. Your best option would be to play with each device first to see which one resonates more with your needs before moving forward with a purchase.